Congress and the President have agreed to a two-week temporary spending measure through December 21 to avoid a federal government shutdown while honoring former President George H.W. Bush and negotiating final budgets for Homeland Security, Commerce Department, and Internal Revenue Service. This also gives some more time for a farm bill to pass. The big news in Washington this November was all about the House of Representatives flipping from Republican to Democratic control starting in January, 2019. This will certainly change the dynamics on the Hill. Is it possible we could see more political compromise between parties to break the legislative log jam or will there be a growing House-Senate stalemate? It’s possible the 2020 presidential election will shadow the legislative and political agendas of both parties the next two years and make compromise more difficult for the most part. Look for the 2019 political climate in the House to shift into an investigations and oversight mode and increase attempts to change legislative priorities from the past two years. Most controversial legislation which passes the House will be dead on arrival in the Senate. The same will be true for controversial bills going from the Senate to the House. With such slim margins of majority in both bodies of Congress, any purely partisan legislation will never make it to the President’s desk. The nation saw 31 million more voters turn out to vote in 2018 than in the midterms of 2014. The House of Representatives will have235 Democrats and 200 Republicans and the Senate will have 53 Republicans and 47 Democrats when the 116th Congress convenes January 3, 2019. Democrats picked up women’s and suburban votes nationwide. New England, Mid-Atlantic and Pacific Northwest regions voted Democratic as well. Midterms highlighted a deeply divided electorate that reflects growing chasms along geographical and ideological lines. Suburban voters seemed to deliver a stern rebuke to President Trump as they ousted both Republican incumbents who embraced the President as well as those who distanced themselves from the President. On the other hand, rural voters showed up to the polls in unprecedented numbers and delivered on critical Republican Senate and gubernatorial elections in red states. Senate Democrats who lost their reelection bids saw their vote shares drop in rural areas. After eight years in the minority, Democrats are making big plans. These include shoring upObamacare,protecting Dodd-Frank financial rules,lobby reform, federal budget, health care, gun safety , infrastructure and immigrationreform to name a few. Look for House committees to spend a great deal of time on oversight and investigations. They are vowing to aggressively probe the actions of the Trump Administration on energy, environment, homeland security, natural resources, foreign relations and several more. Congress worked feverishly to complete the new farm bill prior to the December 7 expiration deadline for the current farm bill. Senate and House ag committee leaders as well as the Senate and House leadership all agreed to make passage of the farm bill a priority. Committee leadership and staff worked on the House and Senate bills’ differences throughout the Congressional election period recess and announced December 1 that a final compromise had been agreed to. The farm bill’s legislative language conference report was due to be filed December 4 and then go to the Senate and House for final approval. However, Congress postponed all votes for the week of December 3 to honor former President George H.W. Bush. Deliberations are expected to resume the week of December 10. The livestock and poultry industries are very concerned with emerging technology that grows meat in the laboratory from animal, poultry and seafood cells rather than from traditional agriculture. How the cell-cultured product is named, regulated and marketed has opened up a whole new food frontier between the Food and Drug Administration and USDA. After a public meeting and comment period, Ag Secretary Sonny Perdue and FDA Commissioner Scott Gottlieb have agreed to share regulatory oversight. According to the agreement, FDA will oversee the collection, cell banks and cell growth. At the harvest stage, USDA will supervise the production and labeling of food products derived from the cells. The Dairy Revenue Protection Program, Dairy-RP, is an area-based quarterly insurance policy designed to protect against declines in revenue from milk sales. Dairy-RP is administered by USDA’s Risk Management Agency and allows dairymen to purchase this insurance from a national network of licensed crop insurance agents. During its first month of availability, 673 policies covering 2.7 billion pounds of milk were purchased. The most active states so far have been Wisconsin, Idaho and California. FDA is forging ahead to create a pathway to market for animal biotechnology-derived products even though some researchers say the agency is going too far by regulating gene-editing procedures in animals as if they are drugs. Gene-editing produces changes in animal genomes that would occur naturally in the species over time in contrast to genetic engineering which changes DNA with cells from outside the species. Washington’s Morning Consult recently featured an article by National Grange President Betsy Huber that suggested rural broadband and online privacy go hand-in-hand. She states that solving the rural broadband problem will require federal policies to encourage broadband network deployment. But at the same time, she suggests part of the solution involves Congress crafting a better national policy to protect online privacy. Recent high-profile online privacy scandals and the confusion consumers have on how to protect their data show the scope of this problem. At a minimum, new federal policy standards should apply across the internet. The same rules that govern websites and internet providers should govern search engines and advertising. Transparency is also vital. Businesses on the web must offer clear and easily understood disclosures to a user about what personal data they collect, how it will be used and who will have access to it. In the event of a data breach, basic fairness dictates that consumers be informed immediately. Congress should make expanding rural broadband access a top priority and part of that effort has to include a new uniform online privacy standard to protect the public and encourage creation of desperately needed services. Microsoft has announced an initiative to bridge the rural broadband divide for three million people in remote parts of the country. Microsoft is already connected to a million users in sixteen states. The company says it will expand its reach to three million rural residents in nine additional states. Microsoft’s technology uses unlicensed TV wireless spectrum or “TV white spaces” to travel long distances without experiencing interference from obstacles. Public comments on USDA’s 2017 Rural Broadband Pilot Program proposal say proposed speeds would not be fast enough and there’s not enough focus on bandwidth. The Federal Communications Commission has set the standard definition of “broadband “at 25/3 Mbps. Many rural and small town businesses, consumers and community leaders believe broadband standards need to be 50/10 Mbps. Unfortunately, the USDA pilot program only calls for download speeds of 10 Mbps and upload speeds of 1Mbps. Expansive opioid legislation that received overwhelming bipartisan support in Congress is now law following President Trump’s signature. The new law improves access to treatment services by lifting certain restrictions on Medicaid and Medicare coverage, addresses the over-prescription of opioids, authorizes research into non-addictive drugs for pain management, has measures to curtail foreign shipments of illegal drugs to the United States and includes provisions aimed at preventing “doctor-shopping” by improving prescription monitoring by the states. 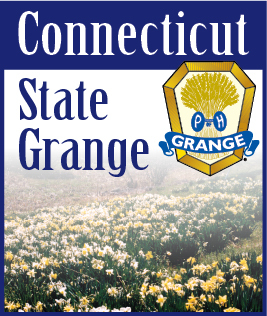 The National Grange strongly supported this legislation. In just two months alone, the FDA cracked down on more than 50 web sites known to be selling unapproved or fake versions of opioids. Most pharmacists haven’t been able to give customers a clue about an easy way to save money on prescription drugs. That’s going to change. When the cash price for a prescription is less than what you would pay using your insurance plan, pharmacists will no longer have to keep that a secret. The President has signed two bills which passed Congress almost unanimously that ban “gag order” clauses in contracts between pharmacies and insurance companies or pharmacy benefit managers. The National Grange worked for passage of these “gag order” bills. The National Grange is pushing the House and Senate to permanently repeal the medical device tax instead of voting for a short term suspension of the tax. Repeal of the tax will give medical technology innovators the incentive to revolutionize treatment of disease, better manage chronic health conditions and improve the quality of life for patients. Since the tax is levied on revenues, not profits, it is particularly challenging for smaller companies (80 percent of the industry and the source of much innovation) many of which generate revenue but may not make a profit.